Welcome to the Family Medical Office of Gale Lawrence, M.D. We are your very best choice if you are looking for an experienced, caring physician who will take the time to get to know you, carefully diagnose your symptoms, and explore with you the best possible treatments to bring you back to your healthiest self. 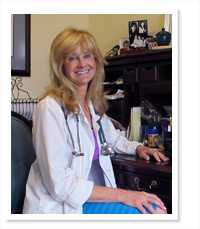 What sets Dr. Lawrence apart is her empathy, and willingness to work with you on a resolution to your medical concerns. Whether you suffer from chronic diseases like hypertension, diabetes, or high cholesterol, or have a sudden illness, injury, or pain of any kind, Dr. Lawrence is happy to collaborate with your other doctors as well as examine whatever research you bring to the session. She is very open to alternative medicines. Often the best cure lies in trying new therapies and treatments, and consulting with other specialists to find the most suitable remedy for your ailment.